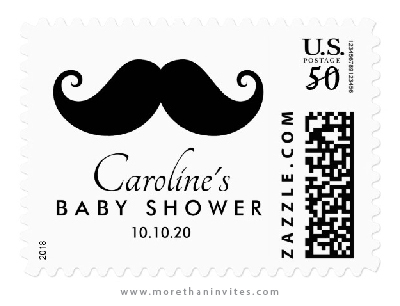 Baby shower postage stamp featuring a black handlebar mustache and customizable name and date. Ideal for a mustache or little man themed baby shower. 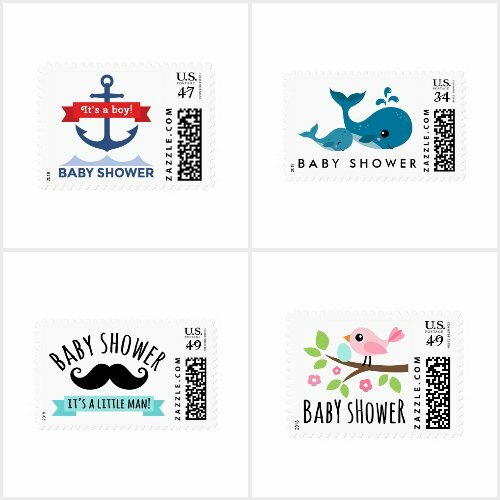 A modern and elegant design available from Zazzle.